The pricing actually varies a bit for all of the models. Amazon will be offering a version in each storage category which will display ad supported special offers and specific screensavers on the lock screen. This will be the discounted model, while a model without the “special offers” will be a bit more. 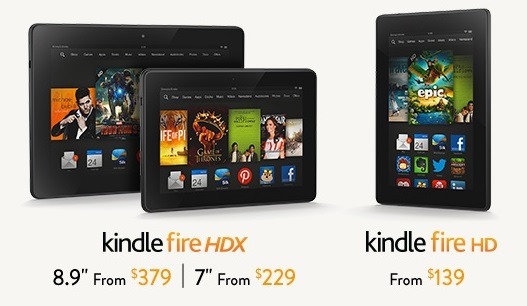 Here’s a price breakdown for the two models of the Kindle Fire HD: The 8GB model with special offers is $139, but without special offers is $154. The 16GB model with special offers is $169, but without special offers it is $184. Hopefully rollout will be soon in the UK.